In 1914 both the Triple Entente and the Central Powers, tried to form alliances in the Balkans. Both alliances promised privileges to any country that took their side. Eventually, Serbia allied with the Triple Entente while Bulgaria and Turkey preferred the Central Powers. In Greece, the situation was rather complicated. The prime minister, Eleftherios Venizelos, argued that Greece should enter the war on the side of the Triple Entente. 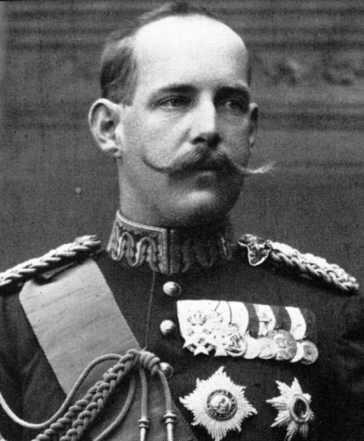 King Constantine, whose wife was German, insisted that Greece should stay neutral and avoid entering the war, something that would help the Central Powers. The king refused to join the alliance with Triple Entente and when he opened treaty negotiations with Germany, Eleftherios Venizelos resigned on 5th March 1915. Twenty-six days later, Venizelos won a landslide victory in the June elections. Venizelos immediately continued with his efforts to get Greece to join the Triple Entente. Venizelos wanted to send military help to Serbia. King Constantine disagreed and on 5th October 1915, Venizelos resigned a second time. While this dispute was going on, the Bulgarian army invaded northern Macedonia. The danger was immediate and so Venizelos, after his resignation, went to Crete and formed an alternative government. This consisted of three members: Eleftherios Venizelos, Panagiotis Daglis and Pavlos Kountouriotis. Venizelos began recruiting volunteers for an army that would fight with the Allies. In was not long before 20,000 men had joined the struggle against the Bulgarian army. It was a very difficult task and Triple Entente did not help as much as Venizelos expected. Meanwhile, in Athens, the Triple Entente made efforts to convince the king to enter the war. But Constantine refused and so the French Admiral Dartigue du Fournet started an Athenian siege. On 11th June 1917 Constantine abdicated and left the country. The throne was taken by his son Alexander, who agreed to work with Venizelos. Eleftherios Venizelos, returned to Athens to form a government and on 29th June 1917, declared war against the Central Powers. By July 1918 the Greek Army had 250,000 men fighting in Macedonia.